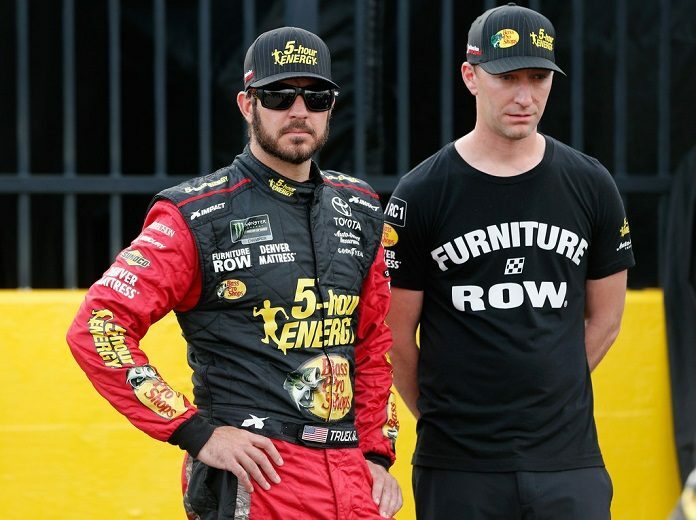 HUNTERSVILLE, N.C. – Joe Gibbs Racing announced Wednesday that defending Monster Energy NASCAR Cup Series champion Martin Truex Jr. and crew chief Cole Pearn will join the organization’s No. 19 Toyota team next season. “Anytime you have an opportunity to bring two people of this caliber into your organization, it’s certainly an exciting time,” said team owner Joe Gibbs. “They obviously have developed a chemistry that has led to tremendous success, including a championship. We’ve gotten to know them well over the past few years through the alliance and having been part of the Toyota family. They both make us stronger as an organization. Truex and Pearn have been teamed together on the No. 78 team since 2015. Truex has 19 career Cup Series wins, including a career-high eight victories in his championship season. He currently has four wins this season and remains in contention for this year’s title. Pearn was elevated to his current role as crew chief for the No. 78 following the 2014 season after serving as the lead race engineer. The team has captured 17 wins in the nearly four seasons since that time. 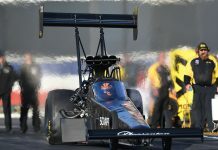 With two races remaining this season, Truex and Pearn sit third in the playoff standings, 25 points clear of elimination entering Sunday’s penultimate playoff race at ISM Raceway in Arizona. Their current employer, Furniture Row Racing team owner Barney Visser, issued a statement acknowledging what both men have brought to his team on Wednesday. “I want to personally thank Martin and Cole for their contributions in making Furniture Row Racing a championship-caliber team,” said Visser. “There’s no doubt in my mind that they will continue to be a winning driver/crew chief combination with Joe Gibbs Racing. They are outstanding representatives for NASCAR and I am proud to have been associated with them. Sponsorship for Truex’s No. 19 Toyota is still being formulated and will be announced at a later date.